Open source video editor OpenShot has just hit version 2.3 in what the developer calls "one of the biggest updates ever." Highlights start with a new Transform tool which enables moving and resizing video with the mouse, and gives you instant real-time previews. Razor mode quickly cuts clips or transitions with a click, and has keyboard modifiers to optionally keep either the left or the right side. Zooming in and out of the timeline is easier and more intuitive. Hold Ctrl, spin the mouse wheel and it automatically zooms in and out centered on your mouse position, just like an image editor. The Title editors have gained a Preview pane to help you find the right effect. "Edit Title" and "Duplicate Title" menus provide easier ways to make changes, and there’s no "Save" dialog any more -- titles are automatically saved in your Project folder. The developer claims "huge performance improvements for real-time previews", including a host of bug fixes for related issues. There’s now a dedicated video player for previewing files, which also enables having multiple preview windows open at the same time. OpenShot finally has a user guide, and that’s going to be a great help for editing beginners (browse it here). The Additional Features covers more than twenty further tweaks. Some make us wonder why they weren’t there before (prompt to save before opening/ creating a new project), but others include welcome usability improvements (all child windows now center on parent window) and some important speed optimizations (much faster selection/ deselection of large numbers of clips). Put it all together and this looks like a strong all-round update,a major achievement for a small open-source project in such a complex area as video editing. Thumbs up to the developers, and go take a look if you’re interested. 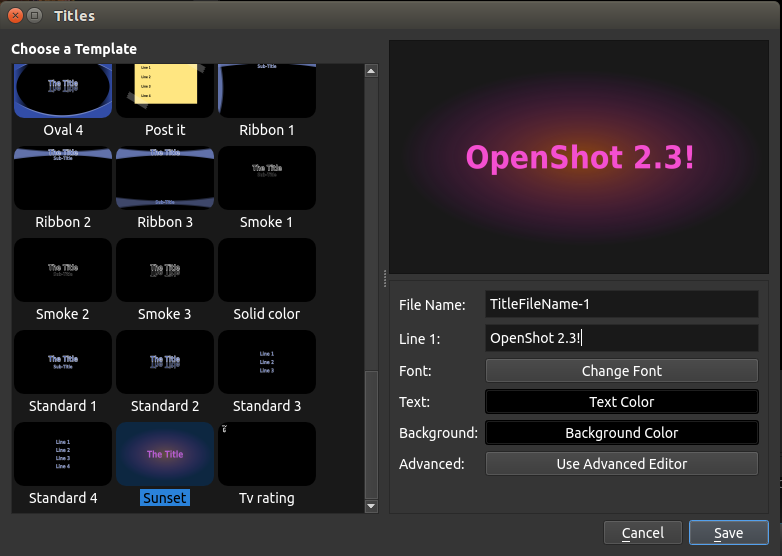 OpenShot is an open-source video editor for Windows, Linux and Mac.